Nowadays, users are more interested in the number of megapixels slapped into a smartphone’s camera when a new flagship is launched, be it from Apple, Samsung, Sony, Nexus and other brands. But one factor contributing to a camera’s quality of capture is often missed in product specifications: the aperture. As a freelance photographer, I believe cameras need less megapixel count and more of the aperture value, sometimes called the f-value, though they are not exactly the same (aperture is measured by the diameter of the lens opening while f-value is the ratio of the focal length to the lens opening’s diameter). That is, if you are not into the printing business. As I have mentioned in a previous article, megapixel only matters when you are printing large copies of your photos. That is so because large printing materials such as tarpaulins, billboards, etc. The smartphone camera aperture – not the sensor size or the thing called MP – controls much of your photo’s sharpness, exposure, brightness and focus. Here is why. Like digital single lens reflex cameras, many mobile devices currently sprouting in the market as though mushrooms have improved imaging capability due in large part to the introduction of wide-aperture compact lenses. 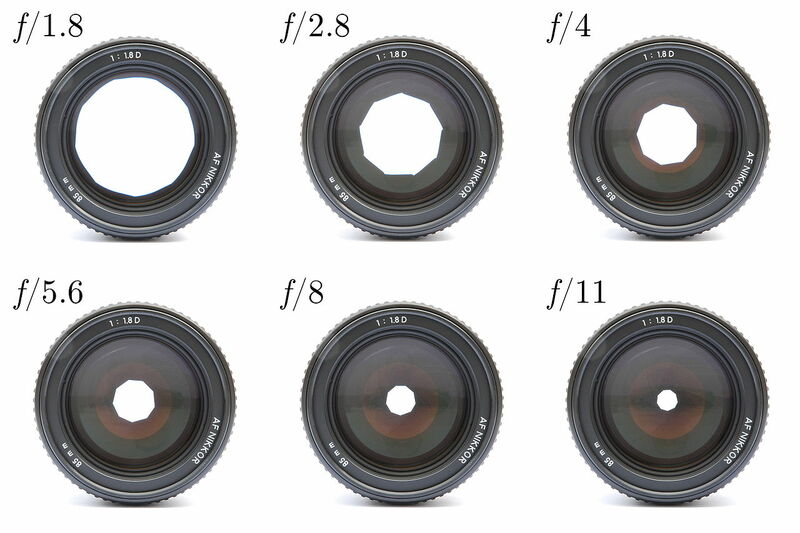 For non-photographers, here is a quick guide: the smaller the f-number, the wider the aperture. Otherwise, you see a photo with relatively less focus, brightness and crispness. It means that a camera sensor’s ability to let in more light is dictated by the size of aperture opening. So the wider the aperture, the more light comes in. This is especially helpful in low-lit environments where you need to have as much exposure as you need for a good quality image. If your smartphone does not have a wide aperture, you will get underexposed and/or noisy photos. This can be aided with the use of slower shutter speed or higher ISO, but these settings are mostly used on DSLRs. Though some phones currently have pro modes where you can control the shutter speed and the ISO value, a majority of users don’t touch those settings and capture photos in auto mode only. The advantage, however, of wide apertures is that you do no longer need to adjust the shutter speed and ISO in low-lit environments, meaning your smartphone camera will be more flexible in different lighting conditions. A slower shutter speed, for example, is not applicable if you are shooting a person, especially a moving person or object. You will need a relatively faster shutter speed to freeze the motion and avoid a blurry capture of your image. Meanwhile, a higher ISO could sometimes lead to noisy images, or images with infinitesimal specks on it. It happens because you are, in effect, stretching the sensor’s light sensitivity to a level where there is no light anymore to detect, therefore resulting in digital aberrations that seem to register light where there is none. From this comparison, we can see that the Samsung Galaxy S8 gathers more light than the rest of the competitors. The size of the aperture opening is also responsible for the depth of field, which results in more or less bokeh: the isolation of the subject from the background. Here is the cheat: the smaller f-value, the more isolated the subject is from the background. In the sample photos above, there is not much difference, though, in terms of isolation because the smartphone cameras used don’t go that far from each other when it comes to aperture. This is because of the crop factor of the image sensor. You can’t really expect much blur in the background using smartphone cameras because the shooter is much smaller in a mobile device than in a DSLR, so all you get is also a small image sensor. Here is the formula: the focal length and f-value multiplied by the crop factor. So the next time you choose which smartphone best suits your taste when it comes to photography, look at the full specs of the device and head directly to the f-value. “For non-photographers, here is a quick guide: the higher the f-number, the wider the aperture.” … What?? That is backwards … Higher f-number is smaller aperture according to your own chart. Correct?? Thanks a lot for pointing it out. I’ve just fixed it. Why would you fix it if it wasn’t wrong?! 1/1.7 = 0.5882 1/2= 0.5 So yes, the higher the ‘f-number’, the wider the aperture. This is basic maths, don’t write articles about camera’s if you have trouble with that. I get it you prefer Android but to be fair, the Samsung S7 should be compared to the iPhone 7…..not the iPhone 6S. When demonstrating the effect of aperture, you want to use phones on either end of the aperture scale. hello, so does the galaxy a5 2017 with 16mp f/1.9 is better photo quality than 13mp f/2,2 of OPPO F3? because of aperture? am i right? so why does OPPO is a camera phone? Because it has dual front cameras. That’s why. So Oppo F3 is one of best Selfie smartphone. I don’t know about these technical terms but I want good picture quality. Please help me to choose right phone in terms of picture quality as I mentioned above!!!! infinix is better because of higher mp (16) and lower f number (2). The lower the number after ‘f’, the brighter and sharper the picture so f2.0 is better than f2.2. So which one is a better camera phone to buy? S7 all the way, in this case. As described in the article, the lower number after the f means more light to the sensor, which is usually better when trying to shoot in low light conditions. As a rule, try to get a camera with a smaller f-number. Megapixels aren’t so important unless you’re going to print extremely large images. Dear Tuan, your article is very informative. Thanks. Just like me, many people without technical skill buying camera smartphones which many times proved futile. Your article will surely guide us. Thank you again. By the way,the phone you are talking about is the v30? Nice article. Can you tell me meaning of each term.. Very Informative … U worked well on describing clearly … Thank you so much !! Hello everyone. Its a wonderful article. Thanks for it. My question is about Nokia 6.1. I am going to buy this phone and i love nokia. Its camera is f 2.0. Is it a bad camera aperture or good?